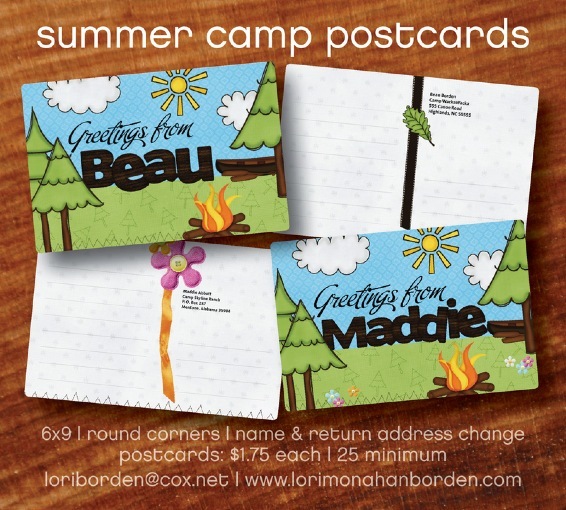 Send the kids off to camp with pre-addressed and pre-stamped postcards! One less step for them & maybe this year grandmaw will get a letter from lil Jimmy! We will change the front to your child's name and edit the return address with their name and camp address! Cards are printed on thick, 130# white cover with rounded corners! Send them away in style! Email Lori TODAY! loriborden@cox.net! 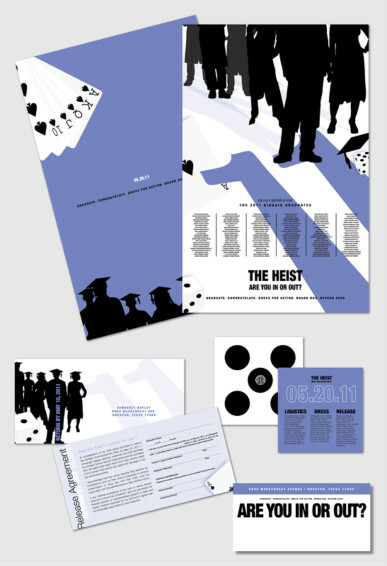 Oceans 11 Themed Graduation Celebration! Graduation Celebration! Poster invites, reply cards, detail cards, mailing labels... all goes into black tubes with dice! CUPS, Tshirts and Chairs too! 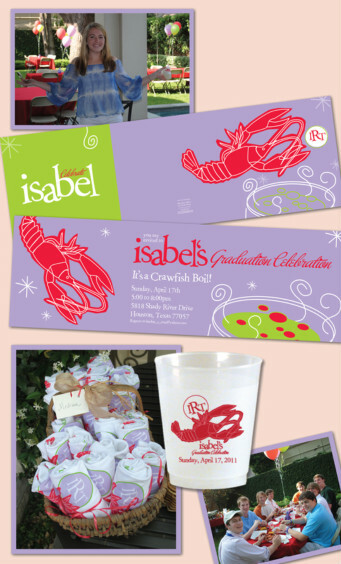 Crawfish Boil - Invites, Cups and Tees! Highschool graduation Crawfish Boil for Isabel in Houston! 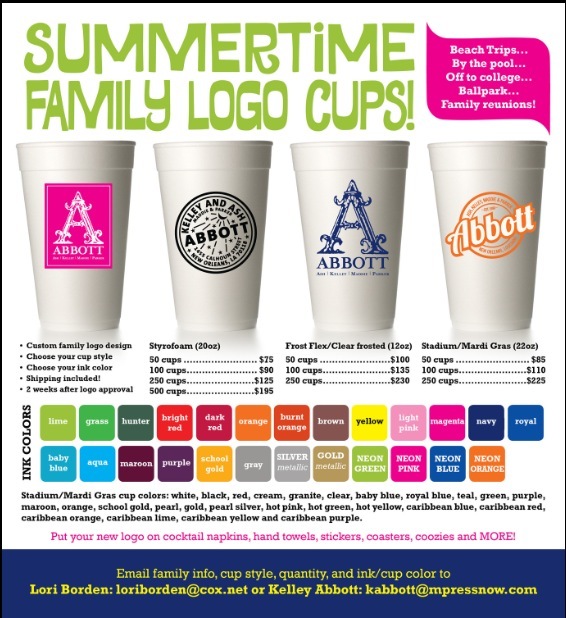 Party cups and Tshirts customized this amazing celebration! I just LOVE designing for Rebekah Guidroz! 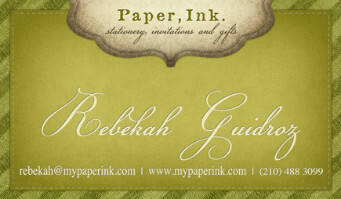 Rebekah lives in San Antonio, Texas and has her own invitation business, Paper, Ink. When she needs help with those custom invitations, she gives me a call! 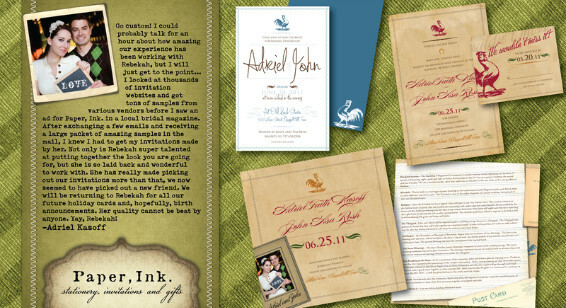 Take a look at the great rehearsal invites, wedding invites, reply cards and wedding fans Rebekah and I did together for Adriel Kasoff! She is a pleasure to work with! Thank you Rebekah Guidroz and Paper, Ink!